Since 1996, Deb has dedicated her entire career to the study and treatment of substance use and mental health issues affecting people of all ages. She is a certified addiction specialist who has worked as a crisis hotline volunteer, discharge planner, therapist, director of case management, and as a clinical supervisor. Deb received her Master’s in Social Work from Simmons College and trained at The Harvard School of Medicine’s Division on Addiction. 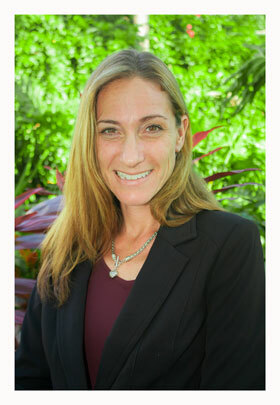 Deb served as Substance Use Director at one of the largest behavioral health agencies in Florida before coming to Origins. I came to HeadWaters at Origins because I believe in treating individuals who struggle with addiction holistically and with compassion. The bravery it takes to enter into treatment and seek out change amazes me. The more options and tools to help people on that journey, the better people do at sustaining their recovery! People are capable of change! If individuals feel hope about their ability to stop using drugs and/or drinking and then receive support from staff and peers in recovery, they can recover from this disease. I’m a licensed clinical social worker, and I belong to the National Association of Social Workers (NASW). I love to perform in theater productions and hang out with my kids and dogs!